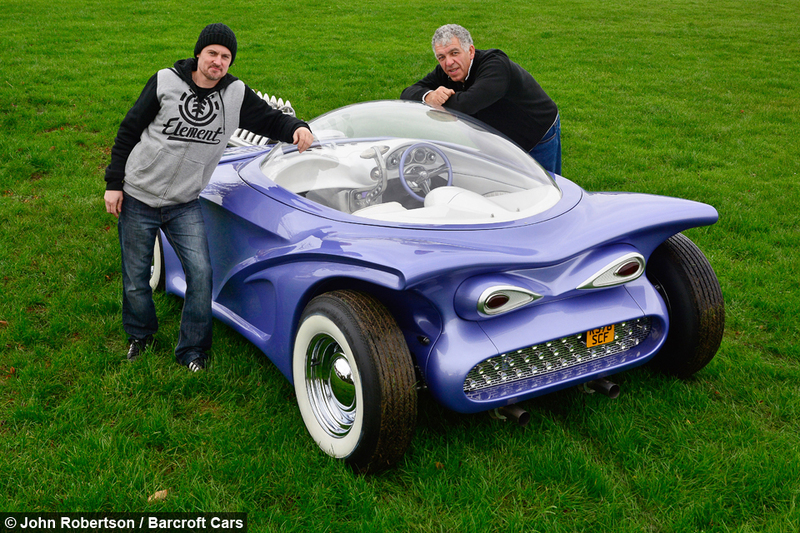 The Cosmotron, affectionately known as Cosmo, is a unique car designed to look like a 1960’s bubble car. 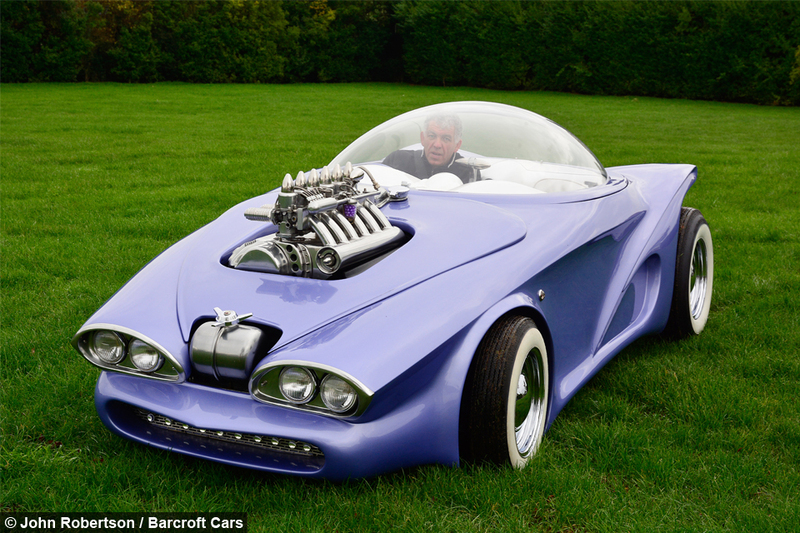 The Jetsons-style space age design was created by Paul Bacon, who spent 18-months building the car from a shed in his back garden. The 41-year-old sat down and drew his dream car – then worked out what materials he could use to make his dream a reality. 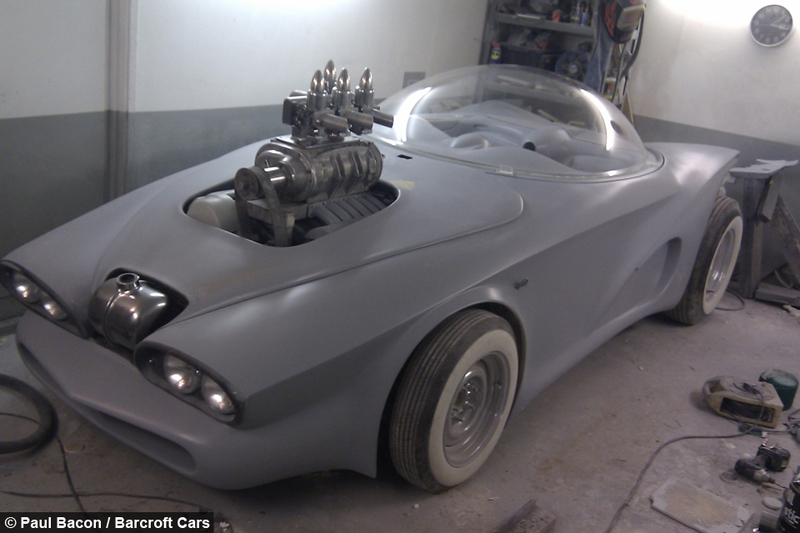 He used the chassis of an old BMW Z3 as the base for his car and sculpted its unusual curves using polystyrene, foam and fiberglass matting. Paul added character to his ride by using moisturiser bottle caps to make the front grille and building the center of the steering wheel out of the top of a firework rocket. 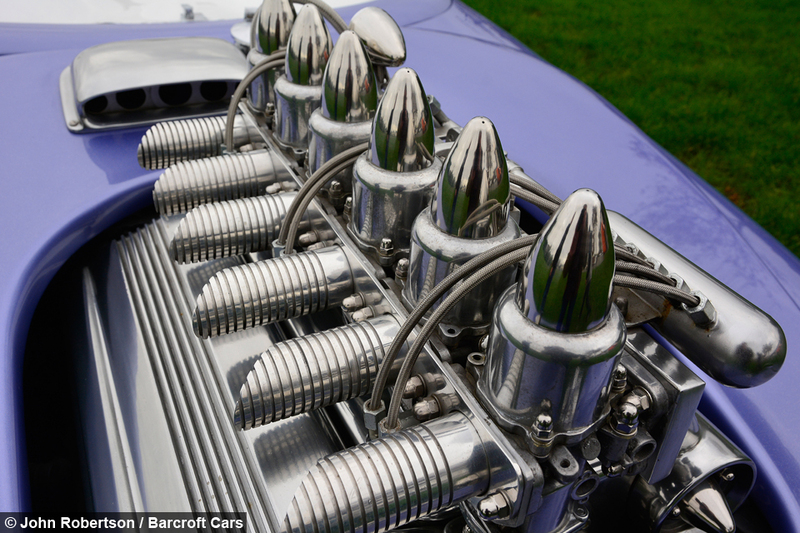 Paul also customised the six-cylinder engine – which pokes through the bonnet – with salt and pepper pots from John Lewis. 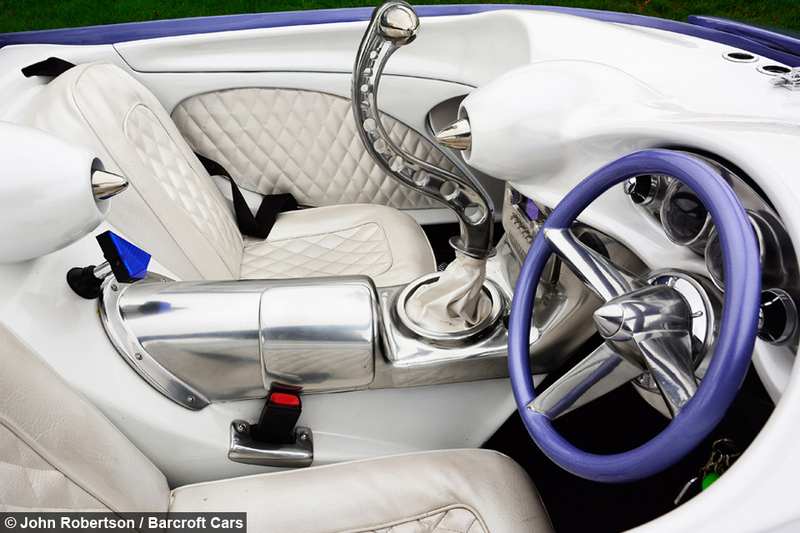 The chrome trim on the steering column is the top of a shower waste pipe and the moon tank on front of the car is an expansion tank from a boiler. The car radio is made from an old 70's music centre façade that Paul cut into about 20 bits before fitting it all back together to form the retro radio. Paul said: “First off I went and bought a BMW Z3, around about 1998 with the 2.8 litre engine and I took every single body panel off it. 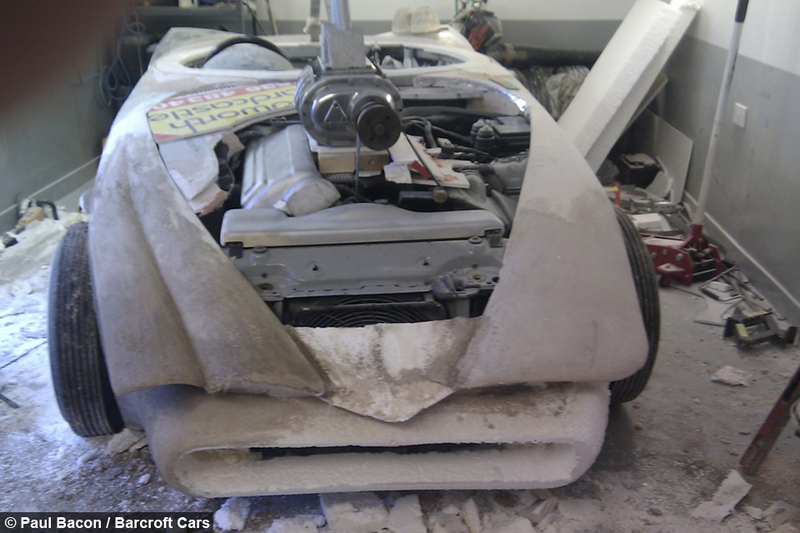 “The doors went, the wings, the bonnet, the boot, everything that bolted onto the car I removed until I was left with just the rolling chasis and floor pan. 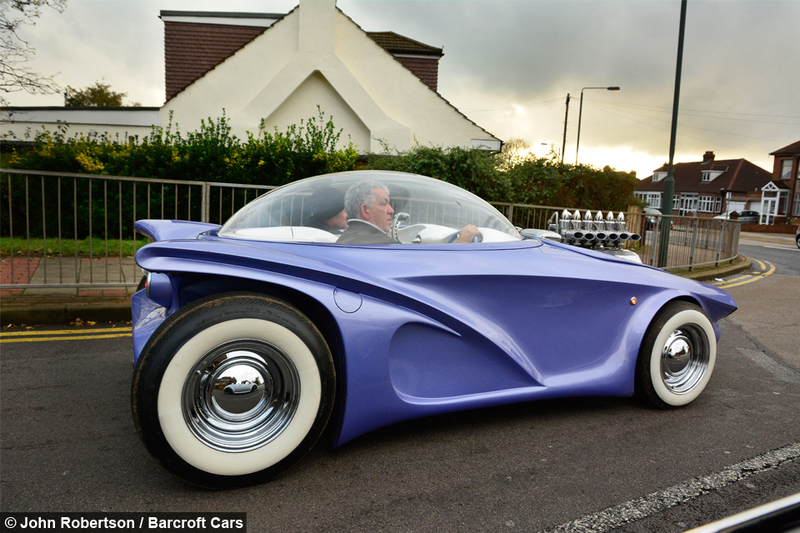 His bubble car creation, nicknamed Cosmo, is legal to drive and boasts a top speed of 140mph. It also has power steering, a 2.8 litre engine, electric windows and air-conditioning. 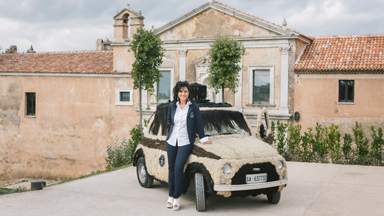 The concept car designer’s wife, Kirsty, made all the interior upholstery herself. 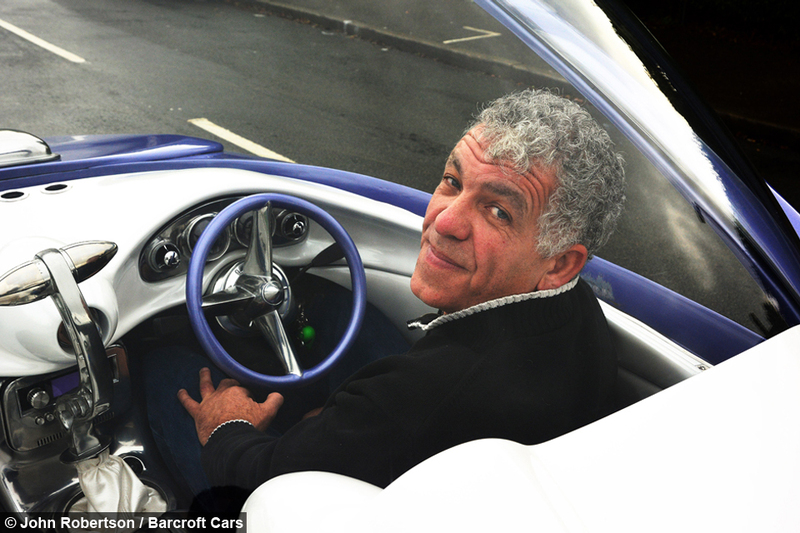 Paul said: "I built this car in a shed that I built in my back garden. I had to drive the car through a neighbour’s garden to get it into my garden. “During the 50's people would modify cars with anything that was around and this kind of grill became popular using a draw pull off of a old chest of drawers. “Those draw pulls are very hard to get now so almost looking the same these are actually lids off a lot of tubes of moisturiser that I found in the charity shop for about £5 and then cleaned up and they are now on there. “These are plastic and they won’t go rusty." 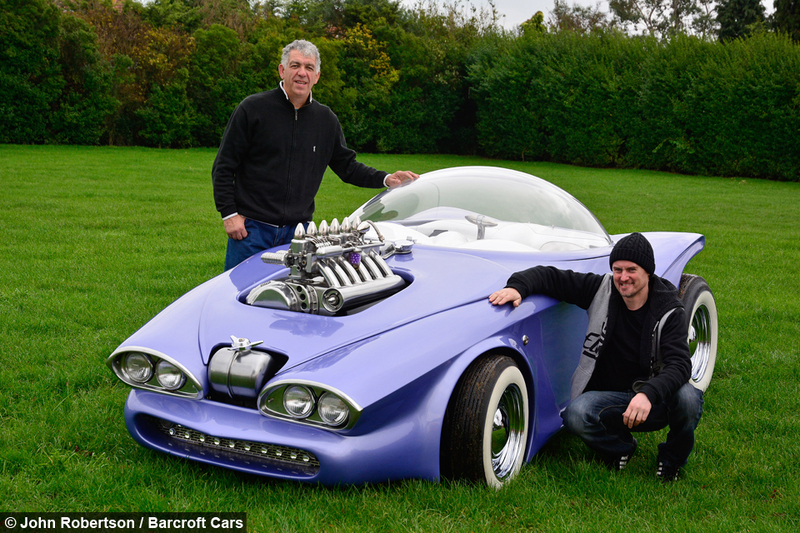 Paul and his wife Kirsty took the Costomtron to car shows around Europe – but after two years were ready to move on to a brand new project. Luckily for Paul, car enthusiast Martin Smith had been coveting Cosmo for two years. 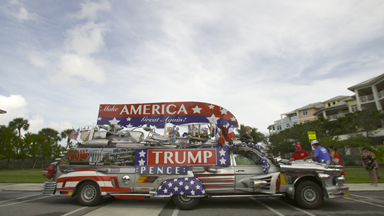 Now Martin and his wife Kathy take the car out to shows across the country – and have become accustomed to the extreme attention the unconventional vehicle attracts. Martin said:” It’s like being in a goldfish bowl looking out on the world. 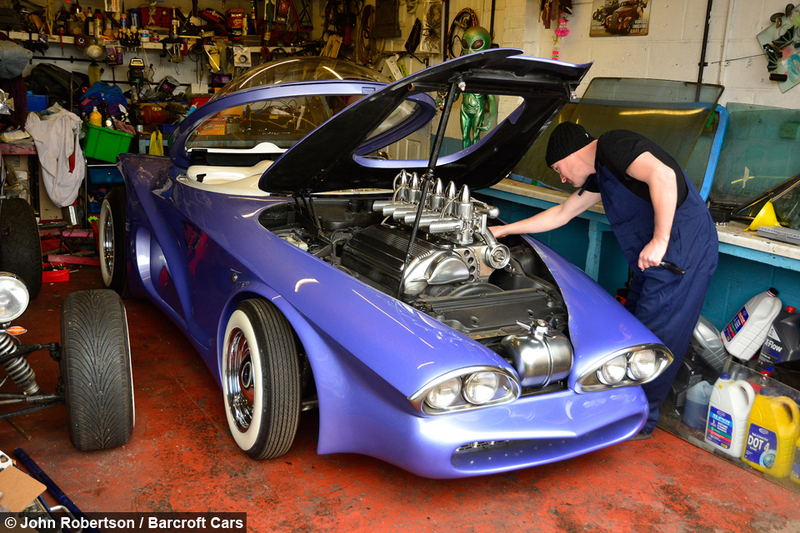 “It’s probably the first bubble top car that’s ever been made in England.